It may be surprising to learn that advertising on Facebook has been around for nearly 15 years. Since their advertising platform launch in 2004, Facebook has made an incredible amount of changes supplying businesses and advertisers with a variety of options to target their audience online. What does this mean for your business? As social media marketing continues to evolve, business owners are wondering if social media advertising is a reasonable and profitable marketing option. Here are some of the most commonly asked questions! 1. Can social media advertising help my business? Absolutely! Not only is social media advertising a great way to increase brand awareness, website traffic, and conversions, but with the right strategic approach it can a powerful tool to help you crush the digital marketing world and take your business to the next level. Some industries see higher engagement than others on social media and it is worth speaking with a digital marketing professional to see the benefits your business can expect from social media advertising. 2. Why is social media advertising important? Social media advertising may not be important or necessary for every business, but for some businesses—likes eCommerce—it is vital. Social media advertising allows businesses to saturate the digital world when they combine social media with other digital marketing efforts. Advertising on social media works extremely well in combination with SEO & pay-per-click advertising by allowing you to capture users who are on search engines as well as social media platforms. With over 2.8 billion active users on social media each month, your business could be missing a massive online market. 3. Should I be advertising my business on social media? In most cases, yes! Facebook and other social platforms have changed the game with their newsfeed algorithms, so in many cases you need to “pay to play” in order to make your organic content visible (organic content is content shared without paying for advertising and promotions). On average, businesses receive 2%-6% of organic reach for posts published on their business pages. If you’re not easily found on search engines or social media, wouldn’t you think it’s time for a change your digital marketing strategy? Social media advertising is a powerful marketing strategy for businesses from large eCommerce companies to local, service-based businesses. When growing your local business, social media advertising can help you obtain leads, phone calls, and/or form submissions. Advertising on social media provides endless opportunities to enhance your business marketing goals. 4. How do I determine my target audience? Understanding your target market is one of the most important factors when it comes to social media advertising. If you don’t understand your target market, you may waste our money displaying ads in front of the wrong audience with no opportunity to convert them. Ask yourself, what are the core demographics of my audience? Are they in a particular age range, income bracket, gender specification, or occupation level? What are the core geographics of my audience? Are they in a particular city, county, state, or region? Do they live in urban, suburban, or rural areas? What is my target audience interested in? Social media targets specific interests, behaviors, and habits of an audience. By understanding your audience’s habits and behaviors, you can further hone in on your target market to get the best ad engagement and conversions. Understanding your core audience’s behavioral habits is essential to a successful marketing campaign. Are they online shoppers? Are they homeowners? Travelers? These behavioral habits are important to identify in your target audience and engage with current and potential customers that are interested in what you have to offer. Once you understand who your primary target audience is, you can better tailor your social media advertising campaign to engage the right people. 5. What are the key components I need to create an ad? These five key components can help your social media advertising campaign succeed. How much should I designate to social media advertising? 6. How much should i designate to social media advertising? By understanding your social media goals for an advertising campaign, you can set a budget to effectively meet your goals. Are you looking to increase your business page following? Do you want to send people to your website? Do you want to increase conversions or leads? Allocate enough funds towards advertisements that are designed to meet your specific marketing objectives. Facebook ads can run for as little as $5/day, and their boosted posts can run for $1/day. So ask yourself, how many people do I want to reach? The reach of your ads is dependent on the target market you choose. Ad platforms can choose your budget and will then provide an estimated range of your audience size so you know if your target is too small, too broad, or just right. Is your competition advertising on social media? If you’ve seen your competitors push ads to you on your social platforms, you should be there too! If your competitor dominated the first page in Google with your keywords, wouldn’t you want to perform strong SEO or pay Google to put you in front of them? Well, the same goes for social media. When setting a budget, it’s necessary to remember that you are selecting the maximum amount of money you wish to spend. 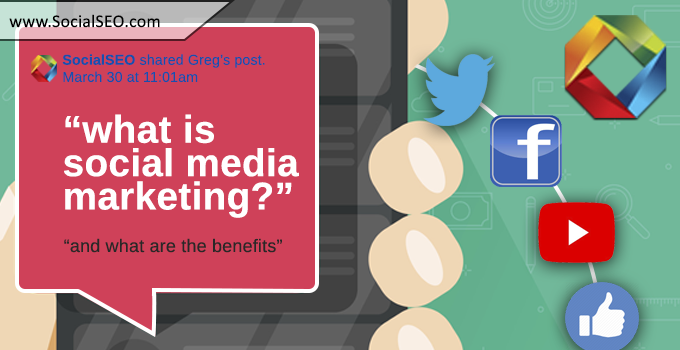 Most businesses spend about 15% of their total online budget on social media alone. 7. 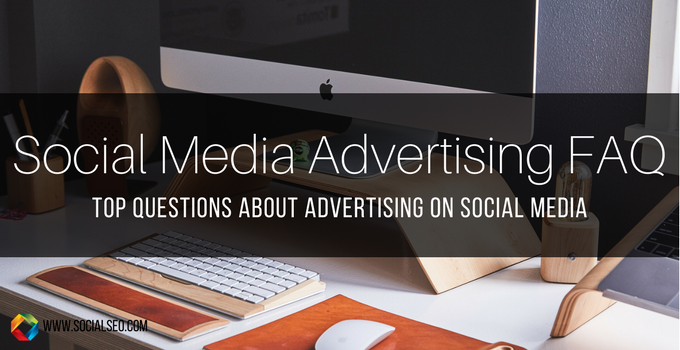 Where can I advertise on social media? Just about anywhere! 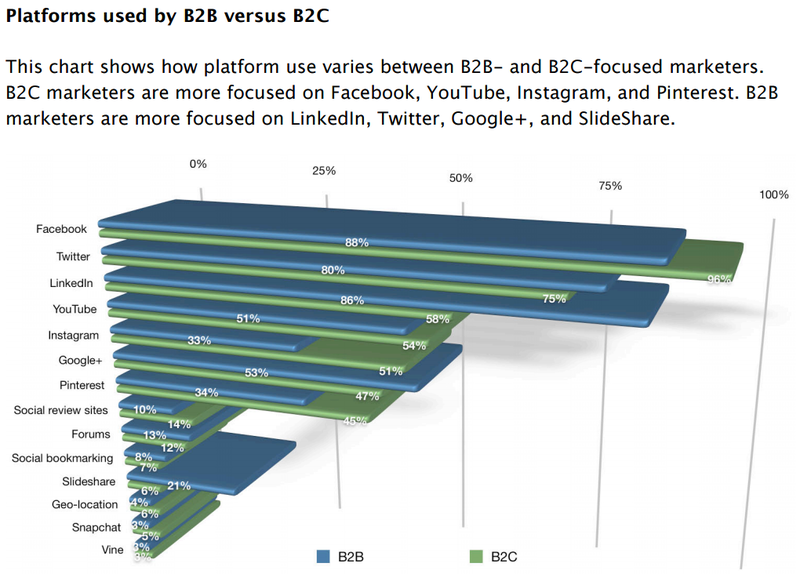 From Instagram to LinkedIn, most social media platforms incorporate a marketing element with numerous advertising options into their platform. 8. How do I track ROI? If you’re eCommerce, activate eCommerce tracking for your site. If you’re a service or local business, add goal tracking to form submissions or phone call clicks. Utilize standard events tracking to track if someone makes a purchase, fills out a form, reads your content, or adds something to their shopping cart. Use UTM strings to track traffic coming to your site from a social media campaign. Analyze the data and make adjustments where there are shortcomings. An important factor for understanding the ROI with social media advertising produces is that a typical path to conversion doesn’t usually just include social media. More often than not, a user sees your ad on social media, clicks through and browse, typically come back on a direct or organic visit and potentially convert at that time. This is what we call an assisted conversion. Due to the complexity of how users find you online, marketer’s often struggle with accurately tracking a social media campaign’s ROI. 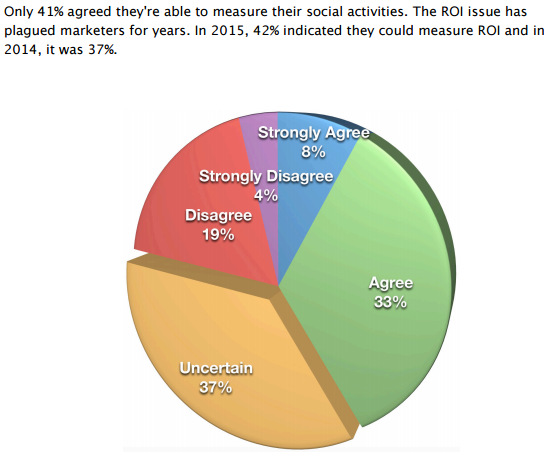 There are some other important pieces that can help track the ROI of a social media campaign. First and foremost, as a business, you should understand what is important to you and what you are trying to accomplish with your campaign. If you understand that you want phone calls or online purchases or whatever the case may be, tracking those conversions becomes a lot easier and identifying the ROI of your social media campaign also becomes more meaningful for you. Facebook now has up to 5 million advertisers with 75% of them being located in the U.S. So, how can you compete with 5 million people and still see success with your ads? Then, search for an easy-to-use how-to guide for the platforms you plan to advertise in to get you started. 10. What if I can’t do this by myself? What if I just don’t have the time? 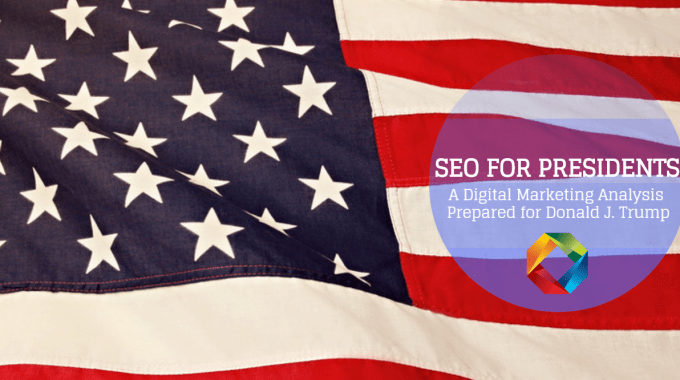 Contact our experts at SocialSEO! Let us help take your business to the next level in the search engines, Social Media and PPC.